Learn what account limitations are, why they get placed on your account, and what you can do about removing them. They are temporary restrictions placed on a specific account that could prevent withdrawing, sending, or receiving money. Having limitations on an account doesn’t necessarily mean that you’ve done anything wrong. Rather, they’re used to help protect both the buyer and the seller. If your account faces a limitation, you will receive an email that a limitation has been applied to your account. Go to the Notifications section of your account and follow the instructions to upload any required documentation. Within 24 - 72 hours we’ll confirm the documents have been received. If no additional information is needed, the limitation should be removed. 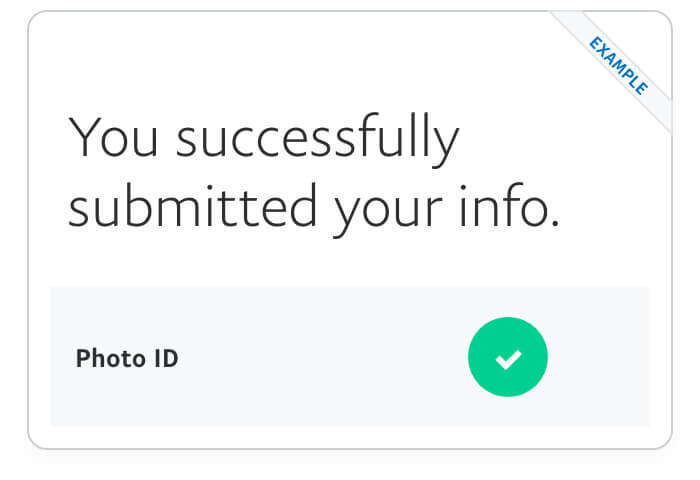 To speed up the process, remember to send only the documents that PayPal requests. Don’t send too many documents, this can generate delays in the process to remove the limitation. To avoid further restrictions, send the documents in less than 2 weeks from the date of notification. Send clear and complete documents. Avoid sending cut off or incomplete documents. Be sure to send only valid documents. Proof of address will only be accepted when dated within the last 6 months. The address registered to your PayPal account must match the address reflected in the document you send. In the case that it does not match, you can change the address in the configuration of your PayPal account. Proof of Identification: Identification card valid on both sides or valid passport. Proof of address, dated no more than 6 months ago. You must have exactly the same address registered in your PayPal account, in case the address is different you can edit it in your account configuration. Acceptable forms of proof: electricity receipt, water bill, TV bill, internet bill or account statement. Applies only to business accounts. A few examples include: Commercial registers, of order/Constitutive Act, Certificate of Incorporation (or equivalent), RUC, Certificate of Legal Entity. The document(s) must contain information about who owns or controls the company, the commercial name and the business address. The complete document must be uploaded, otherwise it will be rejected. Applies only to business accounts where the Account Holder is not the owner of the company. The letter must have a letterhead and be signed by the legal representative, and must include the name of the Account Holder and provide authorization to operate the PayPal account. The person signing the letter must be a director or the owner of the company. Proof of Shipping: Requested for applicable transactions and must be from an authorized shipping service. Fax Invoice: Requested only for applicable transactions. When irregular activity is detected in the account, you will be asked to give an explanation of what happened that day. Try to send information in a clear and detailed way to streamline your process. Bank Statement: A bank account statement that is registered in the PayPal account. An account statement is requested for one or more credit cards registered in the account and must have been sent via mail and indicate the specific card account. Remember to send the account statement of the specific card that was requested. Why are limitations placed on an account? An unauthorized person may be using your account.​ If PayPal believes someone is using your account without your knowledge, the account could be limited to protect you from fraudulent charges while PayPal investigates the suspicious transactions. Similar steps may be taken if your debit or credit card issuer or bank notifies PayPal that someone has used your card or bank account without permission. The account is out of compliance with regulatory requirements. ​Limitations can also be placed on an account that has been found to be out of compliance with regulatory requirements. For example, if you don’t follow PayPal’s Acceptable Use Policy—selling banned items, such as prescription drugs or guns, for example. ​Your account has a high number of claims and chargebacks. When there’s a high number of buyer claims and chargebacks to your account, we may review your account. While we’re reviewing, you may experience an account limitation. Sudden, rapid changes in what or how much you sell. If you start to sell an entirely new type of product, specifically higher-end items like jewelry; or there’s a rapid increase in sales volume, your account may be limited while PayPal reviews it. 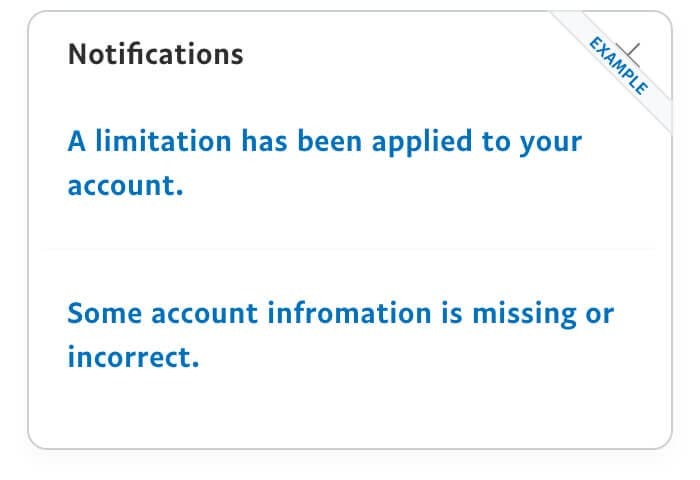 How does PayPal notify you of an account limitation? 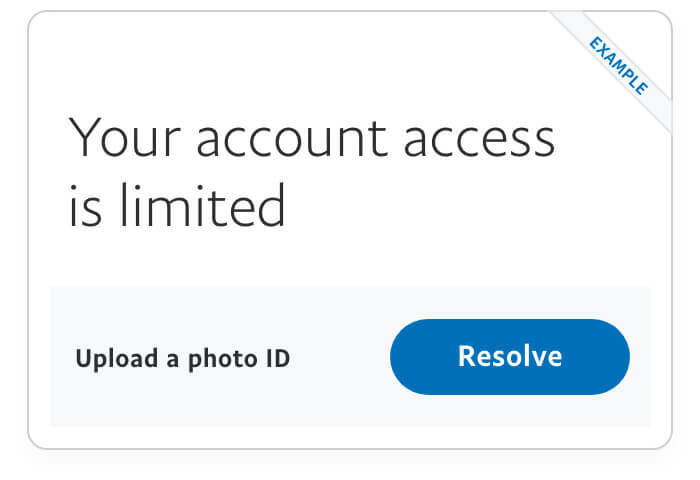 When does PayPal remove account limitations? I’ve completed the steps to remove my limitation, why is my account still limited? How long will it take to restore my account access?